The iOS 10 is the tenth generation of Apple’s operation system. The latest version of OS was released recently at the WWDC in San Francisco. 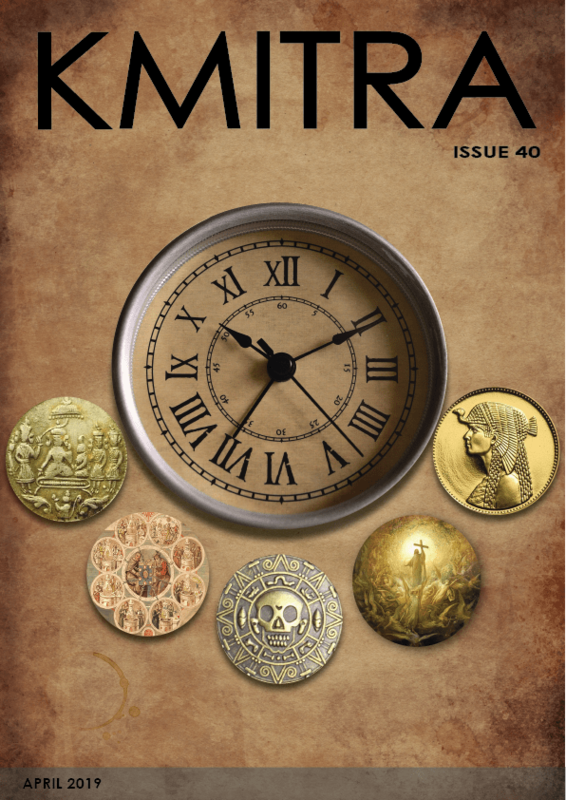 It is filled with major changes for your daily phone and tablet routine. Now Apple has released a public beta version of iOS 10 which is being tested and is not the final version. Last year’s public beta was a success for Apple as it helped in judging and fixing of the bugs and I hope that the iOS 10 beta version would do the same. The final version may take time and is estimated to be released with the iPhone 7.
iOS 10 is coming to your iPhone, iPad and iPod, unless of course you have an age old phone, but if you still have the device which has the 30-pin dock connector or an old iPod touch, you should stick to the iOS 9 as these devices have 512MB of RAM which can’t be supported by the OS 10. Now in iOS 10, there are few interesting things and one of them is the “raise to wake”. This concept was taken from the Apple watch and now there’s no need to press your home button to check the time or new notifications. What’s been added is the ability to raise your iPhone to wake it, fixing the all-too-common issue of blowing past lock screen notifications when you hit the fast Touch ID home button. Apple says it has redesigned the lock screen. We all know the “slide to unlock” for unlocking the phone was a part of the iphone since decades and now it has been replaced by pressing the home button. Apple users who have been addicted to “slide to unlock” may face a little confusion in unlocking their phones. The lock screen now has three phases where we can swipe left or right. If we swipe right, we can assess the camera which was at the bottom corner in iOS 9 and if we swipe left, we get widgets. They are a little different compared to the widgets we get in Android. There is a new option in iOS 10 called “clear all notification”, where in iOS 9 we have to manually swipe every notification which feels a little cumbersome, now we just need to tap to have a clear notification center. Just hard press with the redesigned pull down menu and tap the “clear all notification” box that’s pops up. 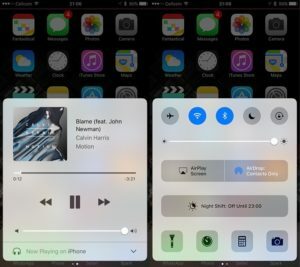 The swipe-up-from-the-bottom Control Center overlay menu has a brand new look that helps de-clutter the layout in iOS 10, and it is something Apple users have been asking for. That fixes an issue where people said that having five app shortcuts in the bottom row, a short-lived idea that came about when Night Shift debuted in iOS 9.3 , made the buttons too small. 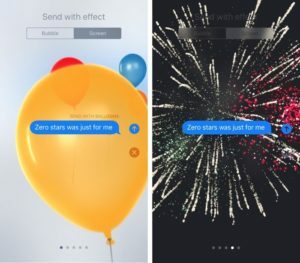 Apple has put quite some effort in messaging. Now messaging in iOS 10 is lot easier and fun. 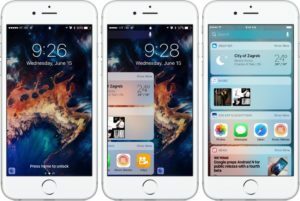 Messaging in iOS 10 is getting a pretty substantial overhaul, resulting in noticeable changes in the way you would send messages to loved ones. 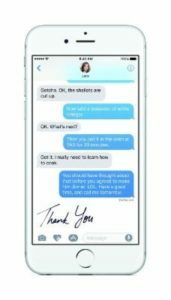 We will able to write message in our own handwriting, alter the way message bubbles look, send quick ‘tap-back’ responses, and even add animation, send bigger stickers all over the message threads, and tap the word to replace it with an emoji. Bubble message helps you to send a text which could be loud, gentle or like a whisper. 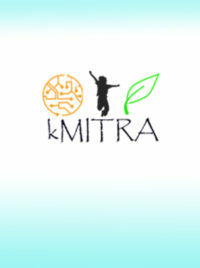 This makes your text more meaningful and lot expressive. You can send a message in your own handwriting which is the closest thing to a handwritten note you can send through your phone. Send a message with club disco lights and full screen fireworks! Messaging with full screen animation is one crazy thing in iOS 10. Say things like “Happy Birthday!” or “congratulations!” with a full screen animation that colors your entire chat screen. Keep your message or photo hidden even after it’s delivered which makes your friend more nervous or shocked after looking at it! Invisible Ink makes your message hidden unless we slide over the message. Apple showed off the Invisible ink demo in which a blurry photo turned out to be a bride’s hand with a wedding ring. Just tap to send one of the six quick responses that let people know what you are thinking, this would be the fastest way to send a reply to your friend, without any effort to type the message making it an easy and clean solution. 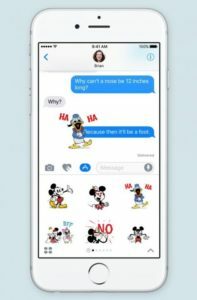 Now in iOS 10 stickers are lot bigger and effective that are three times large as before, and the keyboard can now identify words which you can easily replace with emojis. Just tap on the word you want to change. 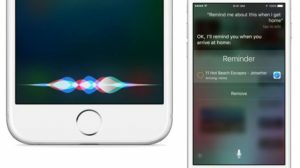 Siri is the most difficult and most important update for the developers of iOS 10. Apple says it’s now called “Siri Intelligence”, which can analyze the contents of messages and glean if there’s a specific kind of information a person is looking for. Two billion requests go through Siri in a week, and it’s now going to do much more, according to Apple. 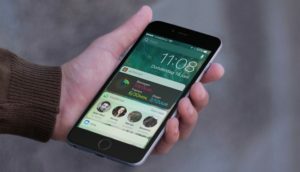 Apple and Open Source software aren’t normally found in the same sentence, but the Cupertino-based firm’s hand has been forced to a certain extent and it’s releasing the Siri API to the developer community. Now we will be able to ask Siri things like “WeChart to Hari that I am busy and call you later”. It can be said in a variety of ways and still be understood by the now- smarter Siri. Siri for iOS 10 is going to be a whole lot different. This is, thanks to what Apple calls an intense API which functions in new ways and in multiple languages. Now Siri is also helpful for apps like Whatsapp, Uber and few more, where we can ask Siri to text a message or else ask for the nearest cab in Uber and lot more. Searching photos through apps like “Airport” and “Class” can be done with your voice, thanks to Siri. Now in iOS 10, the Photos app is more advanced with advanced computer vision, iOS 10 is going to make use of deep learning so that it will be able to organize photos with what it calls “advanced computer vision”. This is how apple touts the photo app’s ability to create albums based on face recognition, and can do the same for object and scene recognition thanks to 11 billon computations. And now Apple plans to take photos to the next level with memories, which are supposed to remind you of events in life by clustering together photos into trips, people and topics. 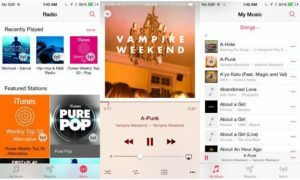 Apple music with iOS 10 has been redesigned for its paid subscribers. It looks to be cleaner, highlighting cover art properly and suggesting music that you will like in a more logical fashion. But it’s not going to excite you if you are not a paid subscriber. 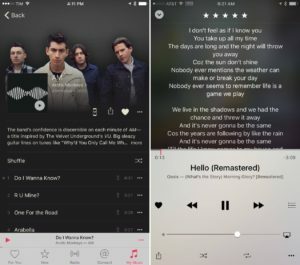 The Apple music refresh does add some depth by way of lyrics running while you listen to the playlist. Now that it’s reaching 60 million people every month with 2,000 publications, it’s in for a redesign. A Breaking news notification has been added to this pre-loaded app so that big stories appear right on the lock screen. 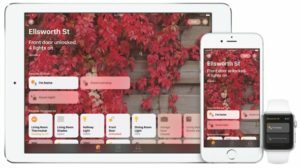 Apple’s developer-focused Home Kit is coming to end-users with iOS 10. And the new app appears right on the home screen, unsurprisingly called Home. It ties all of your home-based gadgets together into a simple interface and includes Scenes to change the mood of a room in a pinch, no matter who makes your home’s previously fragmented smart tech. Siri acts as a shortcut to interact with your home accessories and Control Center does too. Two swipes to the right in the Control Center menu brings up a grid of home accessories. You can also peek at home notifications from the lock screen. This a mobile payment and digital wallet service by Apple, that lets users pay without requiring other apps and is a secure way to pay, as we all know Apple has a good security system.